I got on the Varlet 'Reserve List' in early 2016. 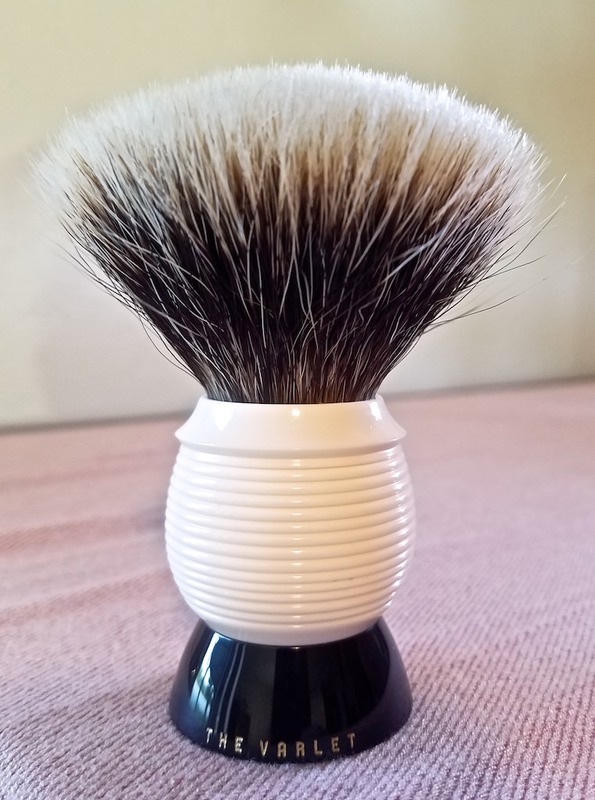 I did not get my first brush until late March of 2017, it was a Everset K2 in Carbon. It was not until July of 2017 that I established a rapport with Aldo Siu and received my second brush, a Varlet Orion. In the ensuing next several months there were discussions concerning my next brush. I have always wanted a brush with a Flattop knot mainly to see what they were like, and for the ‘variety’. Most Flattop knots tend to be on the 'small side' (22 to 24mm) since the Flattop knots seem to have a rather larger presence on the face. We discussed whether to use his Ranger or Beehive handle and the ‘pros and cons’ of each handle and not only WHAT I wanted to do, but what could actually be done regarding my ‘Vision’. We decided to use the Beehive handle. Since I still prefer larger knots, 28mm and larger, and Aldo had actually made a few Flattop knots recently, we chose the largest one he had made, one that was 26-27mm. Of course, THAT involved making the handle dimensions LARGER (especially at the top of the handle) to accommodate the larger knot. Another aspect of the brush was to use BOTH of the TWO of the Varlet’s innovative handle materials, Alumilite: #1/in Somerset Ivory and #2/in Carbon. Carbon was chosen for the ‘Base’, and Somerset Ivory for the rest of the brush, partially because my brush cabinet is rather dark (walnut) and a dark handle material ‘disappears’ in the cabinet. Also, to add some ‘class/elegance’ to the brush, a GOLD lettering/script was chosen. There is ‘more to the story’, but … ‘Those are the ‘Basics’. That is badass! Thanks for sharing and enjoy! Can you get me in to one of his brushes? Ha Ha! 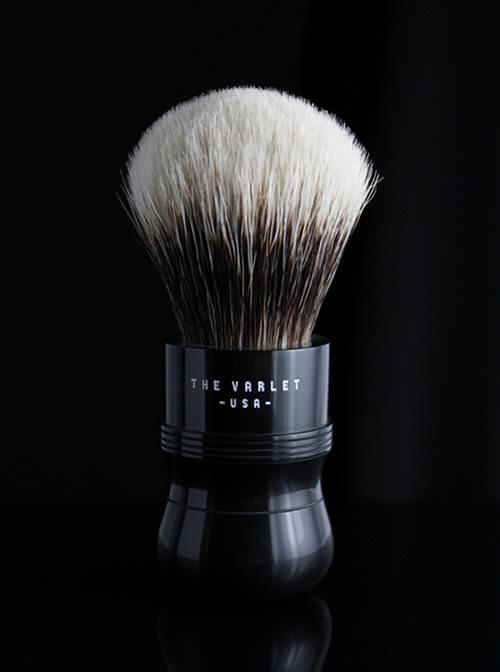 The best way to eventually get a Varlet brush is to go to the Varlet website. On the main page (https://thevarlet.com/) scroll down to just UNDER the 'Alpine Grade' part, then use the 'SIGN UP FOR UPDATES' button to register. It takes a while but you will eventually get a brush. 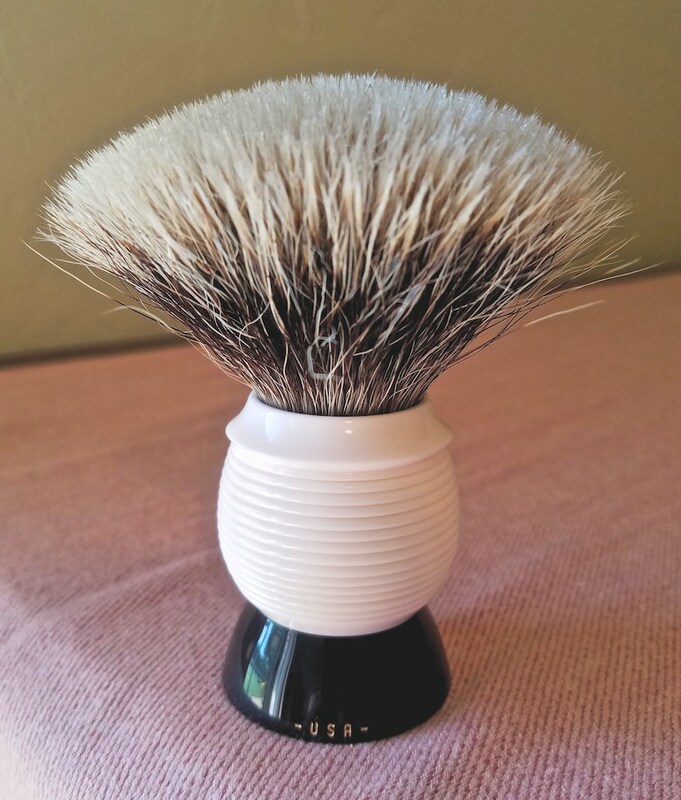 It takes the usual patience that is so prevalent regarding Artisan wet shaving items. 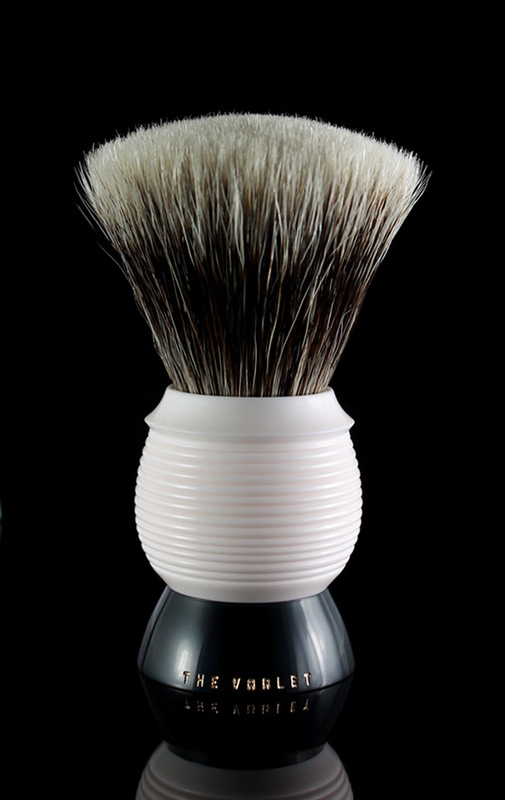 Also, I believe Aldo is about to release some recently made Beehive brushes to fill some outstanding (current) orders. That's a smart looking custom! That is a fantastic looking brush! That’s a superb piece of functional art! Congratulations on getting this brush! Beehives are very difficult handles to get right. And Aldo does a great job with his. Thanks Brad! 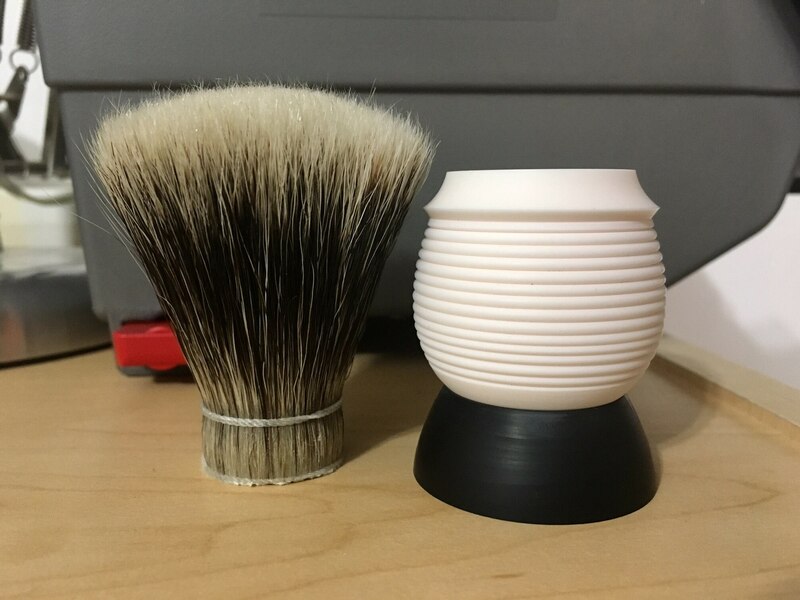 I also recently got one of your DFS LE brushes in a Fan. I was unsure as to how well the handle would fit my hand due to the wide base and 'ring' at the top of the handle, but I found it to be a very ergonomic handle. The knot is also great! Thank You!